This is to inform all the newly admitted students of 2018/2019 session that the school portal for the payment of school fees is open for school fess payments. All admitted Students are to note that payments must be made between 17th September, 2018 and 28th September, 2018. (1) The above notice is strictly for the 2018 newly admitted students, who have already paid their Acceptance fees. 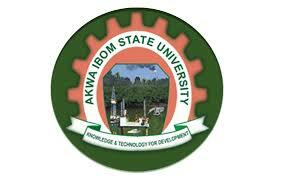 (2) 2018 UTME candidates that are yet to be admitted into Akwa Ibom State University are requested to continue to exercise patience and regularly check their Admission status on the Admission portal of the University, as the list is continuously updated from time to time. (3) Candidates who have not yet seen their names on the admission list are further requested to visit the nearest JAMB CBT Centre to upload their WAEC/NECO result, so as not to forfeit their chances of gaining admission.